It's very wet and gloomy outside, but we're as snug as bugs indoors, watching Harry Potter on TV and where I'm surrounded by colour. 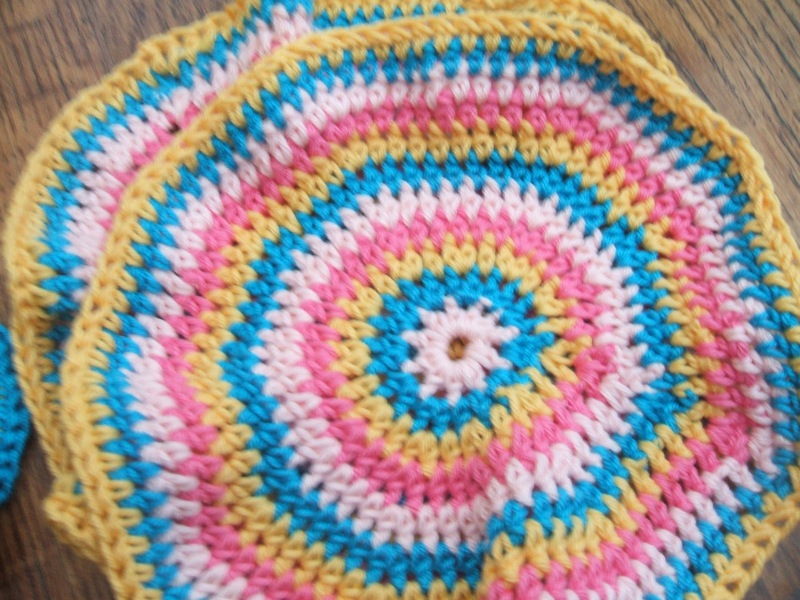 I love working with the vibrant cotton colours I got from Lidl. It's 5 ply and the colours are scrummy. 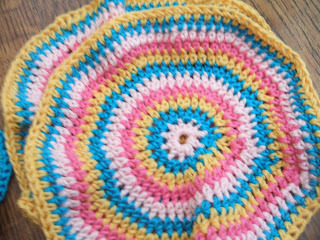 The large circles are the outside of a shoulder bag I'm trying out. I'll make a fabric lining on the machine tomorrow, and start assembling it. It would be very interesting to see your finished projects, the handwarmers and the bag. See you soon. Have a good week! I'm sure those handwarmers will be appreciated - the morning dog walks are pretty chilly at this time of year. And those colours would cheer anyone up! Lidl sell wool. I am intrigued and will have to check it out. They look great - lovely idea for dog-walking! So colourful and pretty. I had no idea that Lidl stocked yarn sometimes - I'll have to go and have a look. 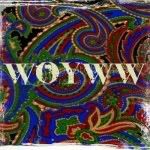 Have a lovely week. The yarn looks beautiful and the circles must be very versatile for so many projects. So lovely wool from Lidl? Who Knew? !! Chrysalis, what lovely colors! 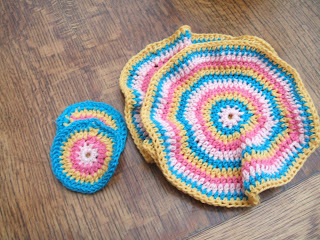 I can hardly wait to start a new crochet project after I finish my knitted blanket! The colours are lovely, so vibrant and cheerful. We could all do with a bit of colourfulness at the moment as the days are so grey and miserable. Will the sun ever shine? Bright colours on a gloomy day - what could be better. The colours you have used are so pretty. Hope you have a good week. What a brilliant idea. Look forward to seeing them finished. I never knew that Lidl sold wool. I'll have to have a look next time I'm passing the store. Those colours really are lovely. 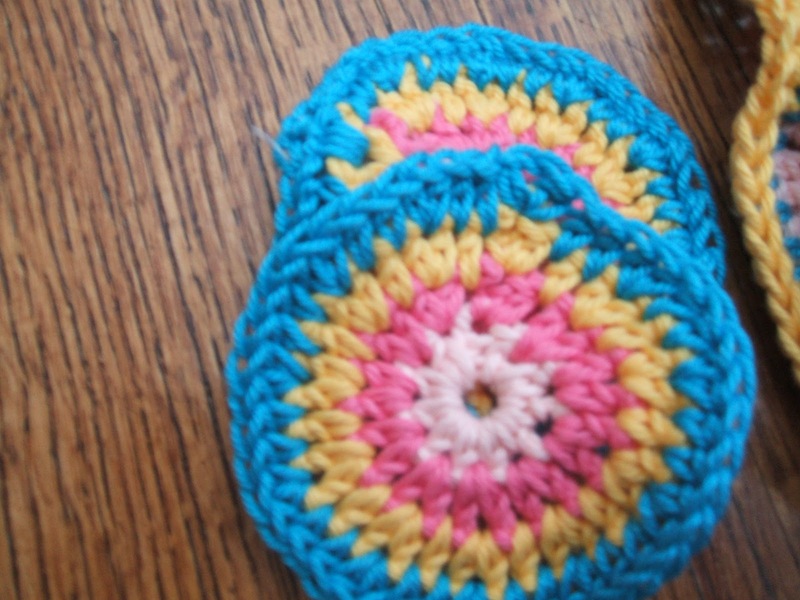 Making handwarmers is on my list of things to do but I don't seem to get round to them! What pretty colours. 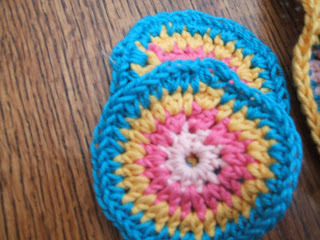 The handwarmers look lovely and I can't wait to see how the bag turns out. Handwarmers sound very good in this chilly weather!